last year i turned 36 this year i'm deciding that i'm turning 29.
yeah i'm excited to turn 29 i feel like it's going to be a good year :) 29 is a good year. actually 37 isn't so bad. i feel pretty great, and it isn't till i write down "3 years from 40." that i want to throw up. seriously? these last two weeks my mom's been here and we've been organizing and cleaning. and then organizing some more. but none the less it's nice to get things organized. btw oh have you heard of this book? yeah it's pretty amazing. and pretty to look at. Sunday Morning Quilts by Amanda Nyberg and Cheryl Arkison has been out for a little while but i have been saving this book for a special occasion to finally talk about it and give away a copy of it. no wonder this book has been flying off of shelves! it's gorgeous and amanda and cheryl are amazing at what they do. 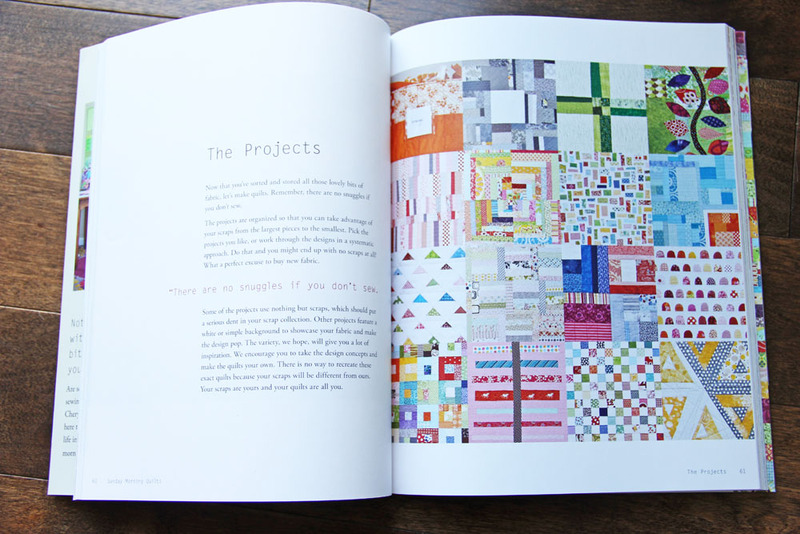 taking pretty left over project scraps and compiling them and creating a gorgeous project all on its own. i love amanda and cheryl's style. clean and colorful. and never wasting your scraps. i have a signed copy to give to one lucky winner. AND i'm going to include some of my simply color scraps to go with the book. but please leave a contact email where you can be reached if you win. the winner will be announced on wednesday! :) okay have fun and happy birthday to me! Happy Birthday and I have been 29 for a looooong time too.You are too young to have grandkids but they keep me feeling young and put a smile on my face which makes you look younger.I hope. Happy Birthday! Play with babies and puppies. They keep you young! I think the best way to turn back the aging clock is to keep a smile on your face! If I end up with deep craggy laugh lines at the end of my life, then that's an outward sign of a pretty happy life, don't ya think? Ok, and for real now: use a good face moisturizer all the time and don't forget about your neck! Who wants a youthful face with a "turkey neck"? Not me! I turned 50 this year. I remember 37. For me, 50 is better...in most ways. Happy Birthday! I have enjoyed getting older... No turning back the clock here! I am 55 yrs young so be glad you are still in your 30's. You have accomplished so much for your young age. Things to do to stay healthy and younger looking: don't smoke and don't drink excessively, use an anti-wrinkle cream daily, don't forget your neck, try to keep your stress at a controllable level (kind of hard with 4 kids), and hug your family and friends alot! Happy Birthday! Tell your friend I never skimp on eye cream (and I buy the good stuff). And I left a note for Cheryl (her blog I already follow). 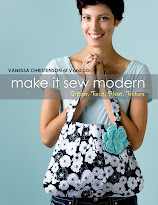 Its a great book - would love to win the copy for my sis. Oh, forgot to wish you a very Happy Birthday! left a comment for Amanda Jean! Happy 29th ;) Keep smiling - that keeps people young!! also left a comment for Cheryl! Every now and then, pull out a coloring book. It's very therapeutic. Feliz aniversário!Faz temmmmpo que fiz sua idade....Aqui temos um dito popular que diz:Desde que trintei nunca mais contei. não se conta depois dos trinta.Então tenho trinta,um a mais que você,h´há.Seja feliz e abençoada por Deus sempre.Abraços bem abraçados. Happy happy birthday. I wish I could turn back the aging clock, but I will say I don't feel as old as I am. I have a great relationship with my daughters and we enjoy hanging out together. (it wasnt always that way!!) Even my oldest daughter's boyfriend feels like family and they keep us young. We laugh and joke and have a blast. My husband keeps me turning back the clock by taking us on adventures like hiking into the Grand Canyon (after a year preparation). Exercise is my key, but something you love. I visited Amanda jean's blog. It is wonderful. Been to say hello to Cheryl (chickend out saying 'nice calves'!!) but I did leave a comment. Super book - would love to win this - fingers crossed! EXERCISE DAILY IS THE BEST FOR TURNING BACK THE CLOCK+THE MOST DIFFICULT TO KEEP AT FOR ME! Happy Birthday! I swear by hair color and lipstick. Happy, happy birthday! I turned 50 this year, so I'm jealous that you're only 37. The secret to staying young? Enjoy life with your kids. They will keep you young! life only gets better. keep moving! I've just left a comment for Amanda Jean on her blog. I commented on Amanda Jean's blog. No anti-aging tips here, I think it's all about good genes! I have been considering getting this book, thanks for the opportunity to win it! I commented on Cheryl's blog. I love the low volume quilts from Crazy Mom Quilts... I see a new scrap bin in my future. Just said "Hi" to Cheryl and added more to my "quilts to make" on pinterest. Those wine gums are just too cute! Why do I always like the incredibly high labor projects? Thanks for the giveaway and Happy Birthday! taracrawford (at) gmail (dot) com. i love the Wine Gum quilt from Naptime Quilter! 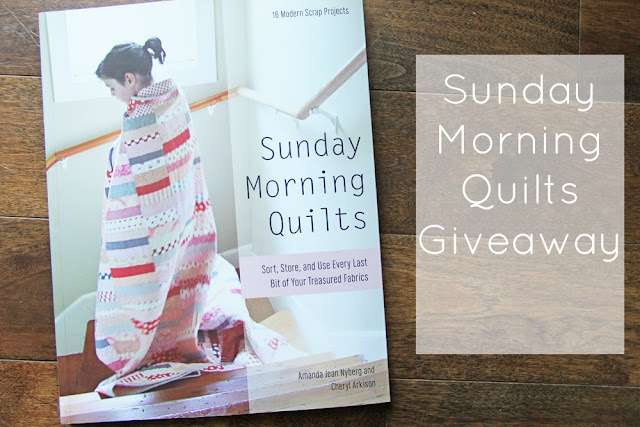 i love the low volume quilts from Crazy Mom quilts! Fui para Amanda e disse que a AMO,mas,é verdade,eu amo esta mulhre talento. Happy Birthday! Enjoy life is my solution, but I'm also 29 forever. Happy birthday! Hope it's amazing. Love your stuff! We just got simply color in the mail in the shop I work at! Can't wait to dig into them for my projects. Now I can't get enough of these other 2 blogs. Lots of good stuff to look at. I totally enjoy getting older, and I love having grandkids and sharing their toys and books with them. I think having a great relationship with my husband keeps me young. We laugh about what is going on as much as we can, rather than cry. And we talk about "What if..."s a lot. We also believe in the future, no matter how bleak things may appear; I guess we're Trekkies, in that way, lol. And I use Eucerin Intensive Repair hand cream to wash my face. That's my mishmash of tips. Hope these help! Thanks for the giveaway! Happy birthday! Laughter and having fun are what I think keeps you young - well young at heart and never take yourself too seriously. I do hear some women swear by mayo, but I've never tried it (other than on a sandwich). Laugh every single day - that is the requirement! My 96 YO MIL said so. Happy Birthday! Wine in good doses. I see it as a preservative. That, and lots of chocolate. I don't have any good advice for turning back the clock, but instead just enjoy the moment you are in. Happy Birthday! I am right on your heels; 37 comes in April for me. Happy Birthday! I'm less than two months to 40 now, so I have to be serious about turning back the clock. First, I just had a baby. Sometimes it actually makes me feel older, especially since my husband has nieces and nephews who have also delivered this year. But I figure it will force me to stay young. Second, I stopped eating carbs. I've been trying to do it for two years now, but I finally made it stick. Hope I can get this book because I follow Amanda Jean and I've been wanting it! Went to CMQ and said hello! Thanks! Went to Cheryl's to say hello. Thanks! Happy Birthday! Eating healthy foods, and I should be exercising (I am not very motivated to that though) :) And lots of laughing. happy happy birthday, sweet girl. I cannot believe how the years fly by as I started reading the blog Jan 2008. Hope you enjoy a wonderful weekend with the noisemakers. Happy Birthday! Only 37? I also chose to be 29 for years until the ages of my children gave the show away. Tips on how to beat aging..... Stay young at heart, avoid looking at yourself in mirrors and shop windows and don't let none take a photo of you! I left a comment on the other blog. Thanks for the chance! As you can't turn the clock back just keep moving straight ahead with your head held high! Actually I swear by pilates! Happy birthday! Oh, to be your age again. Time flies so enjoy every moment, smile a lot & laugh when you can, don't sweat the small stuff & moisturize, moisturize, moisturize!!! Hope you have a great day!!! Happy, happy birthday. You look nothing like 37! Wow, thanks for the links to amanda and cheryl's blogs. I've been so busy reading I almost forgot to come back here and tell you I also left a message on Cheryl's blog! Thanks again for the opportunity. Thanks for the giveaway! No turning back the clock, but I try to slow it with exercise and a happy attitude for every day! See how old I am? I forgot to leave the email contact on my comment! Thanks for the giveaway and happy birthday! From your photos I would've guessed 29, so you don't need turning back the clock advice! Well, Happy Happy Birthday. I've got a few years on you (just a head start) so I will say, generally, turning back the clock is difficult. I do love Clinique's All About Eyes cream which seems to diminish the black circle puffy eyes thing a bit. Its pricey, so I usually get it from a gift with purchase. Went to see Amanda Jean and told her 'Hi' from you. I love the rag rug that she made. 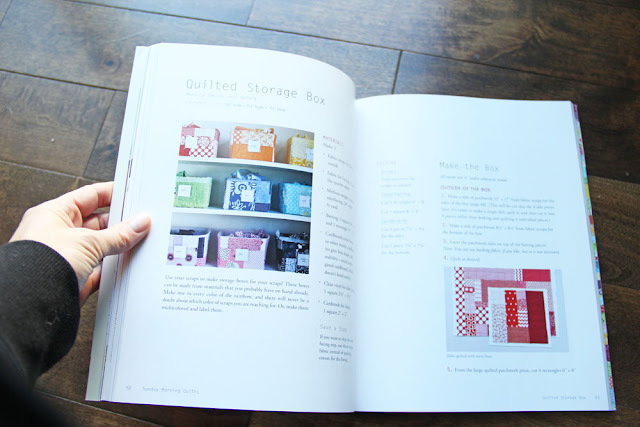 I am not a knitter, but I may have to try this some time with my selvedge collection. Happy Birthday! I'm 60 and trying to eat right and taking supplements to keep the clock from ticking too fast. And I also went to Cheryl's blog and said hi. 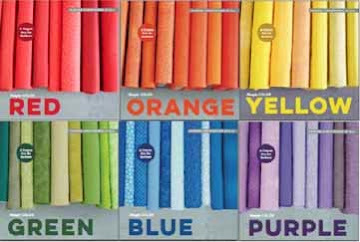 Wanted to say that I am so in love with your Simply Color and I'm going to get some when I can order yardage or get it at my LQS. So now I'm just going to have to grow old disgracefully and see how that turns out! My recipe is - less work, more rest! (quilting is a rest for sure). Happy Birthday, I wish I could go back to when I started college and tell myself which major I should have done! visit amanda jean's blog leave her a hello comment - DONE! I liked her blog! I visited Amanda Jean's blog. I've been following that one for quite a while now. She's got some great stuff! Visited Cheryl's blog for the first time. I will definitely be back there. She really is awesome. I turned 25 this year and my brother keeps telling me I'm so old. I guess it's all about perspective. I think eating healthy, exercise and laughter are the keys to staying young. I turned 37 in September. It's not so bad. Most of the time I still feel like I'm 25. Then I remember I'm a married mother of four now. Much different than 25. Left a comment at Amanda's blog too. #38 I think on today's post. As my grandmother always said....keep busy and make younger friends. She lived to almost 104. I'll tell you that each decade gets better. I would hate to go back to my 20s or 30s. Left bloggy love on Amanda Jean's blog. Left bloggy love on Cheryl's blog too. Happy Birthday! Umm.. I moisturize. I wish I knew some better tips. I'm going to read what everyone else said! 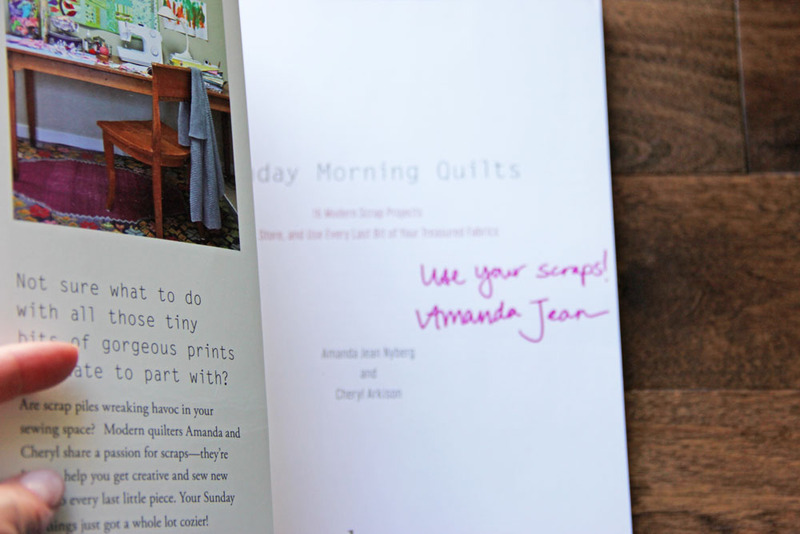 I visited Amanda Jean - and realized that I follow her blog! I have been using a good natural moisturizer, trying to stay young looking. And sunscreen. Never too much sunscreen. Happy Birthday! Thanks for sharing. I visited cheryl. I also realized I forgot my email in my last posts. I"m a reply blogger though so hopefully it won't be a problem. I exercise and eat as little sugar as I can. It seems to help my energy. I left a comment at Amanda Jean's blog! I just popped over to Cheryl's blog! Happy Birthday. I do not turn back the clock. I age naturally. I love my gray hair and all I do is buy the loreal gray shampoo just to make them sparkle more. I visited Amanda. 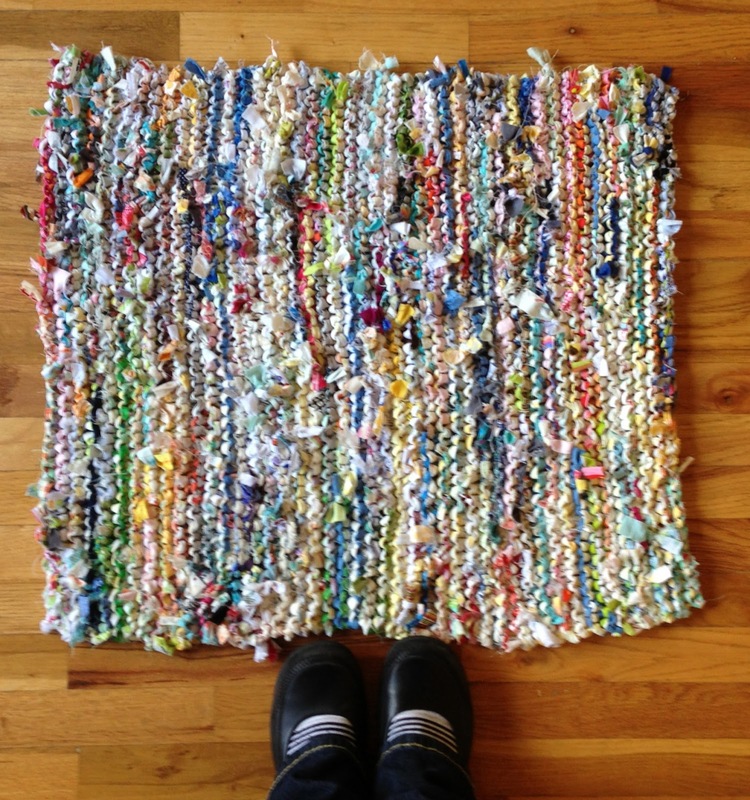 She has made the coolest rug! I visited Cheryl and she is blogging about the coolest bag today. Happy birthday! 37 is great, and that's coming from someone who might remember what that age was like! Give up worrying what other people think...that keeps you young! Ok- the aging thing. I turned 50 this year and just embrace it. I have so many more life experiences (some good, some bad) but feel prepared to face whatever comes my way. I have a friend who says that if you pick an odd number (say 27 or 32) that it is more believable than saying 29 or 39. Just a thought. Thanks for the giveaway and enjoy the time with your mom. I visited Amanda Jean's blog- again. I went to visit Cheryl and left her some love. Happy birthday Vanessa! I no longer try to turn back the clock. Now it's just about maintenance! Laugh some, love more, and use a good moisturizer! I popped over to Cheryl's blog - what a pair of funky suitcases! And I said hello to Amanda too! You're right - we could all do with some of those awesome fabric baskets! I try to remember that growing older is a blessing many people don't get. Also said hi to Cheryl. Birthdays are GOOD! There is only one alternative to getting older and I bet you aren't ready for that yet! I am planning my next quilt, for the latest addition to our family, I due in May. So this book would be well used! I don't have any advice for aging gracefully. I'm just trying to be OK with my new gray hairs! Happy Birthday! I think the most important thing is regular exercise. I used to pluck grey hairs to fight off that obvious sign of aging but have recently decided that if I continue I will have bald spots. Not good. I think age is just a number and having birthdays is better than the alternative! I left a message for Amanda Jean. Happy Birthday! Enjoy the clock; enjoy your time. I'm halfway to my goal of 110 (Gram lived to 104) and am SO thrilled that (if I'm lucky) I get to do it ALL again (maybe with fewer, but better, mistakes)! I have had Amanda Jean and Cheryl's book since it came out, so if I win, please give the book to someone else - I'll take the scraps though! Just organized mine today. All the best, and thanks for the discount on your patterns! I left a message for Cheryl. Oh yeah, Happy Birthday! This book is on my Christmas list!!! How fun would it be to get it early? To keep young... I use sun screen! Happy birthday! I wish I knew the answer to turning back the clock - or at least slowing it down a bit! It is ok to get older. It beats the alternative. Hints are moisturizer, stay out of the sun, no smoking, and lastly have a child 10 days before you turn 40. Motherhood keeps you young. Have a happy birthday! I just picked up a junior ombre jelly roll at a quilt show this afternoon so as soon as I got home I ordered up your Bloom pattern. Can't wait to make it. I said hi to Amanda Jean! I said Hi to Cheryl at the naptimequilter blog site. What a cool blog name. Happy BDay. Just letting you know I commented on Amanda Jean's Blog Crazy Mom Quilts. Love the bright colors she uses. happy birthday! I'm turning 40 in february and it is just about the scariest thing ever. And I guess if I win everyone will know how old I am - don't post my post if I win, ok? My big tip is moisturize, moisturize, moisturize. I use a mix of jojoba, rose hip and avocado oils since "moisturizers" break me out and still leave me flakey. Nothing like being old and zit faced! So decent skin... Oh, and attitude. You've got to think young to be young. So 2 secrets I guess. Happy Birthday! I don't want to go backwards age wise, I'm finally able to relax :-)! Though it doesn't seem 20 years ago that I was 37, yikes! ahh...the "stay young" answer would have to be two fold: laugh more & play w. your kiddos. I left a comment at Cheryl's blog. Happy birthday ...always use the 2 and. 9 candle on your cake. Who is going to argue with the birthday girl. well, I'm only 26 so this is coming from not TOO much experience on turning back the clock (:D) but I've found that I feel youngest, most alive, when I'm choosing joy every day. Happiest of birthdays! I left meesage for Cheryl. I left a comment with Amanda. I just embrace the life of a kid...I laugh out loud, I speak my mind with the frankness usually reserved for children. I make snow angels at the drop of a hat, I dance in the rain and I laugh hysterically at a fart...everytime. I don't care who you are, how old you are or what you grew up to be, but fart equals funny. Happy Birthday, V! I turn the clock back with a nice brisk walk with my dogs every morning! I already have the book but I wanted to wish you a happy birthday. I am two years and seven days older than you. Happy day. Commented on Amanda's cute little blog, too! Happy Birthday! It's all in the attitude and you have a funny easy-going attitude!I'm way older than you and I don't like it either but...oh well. I just forget how old I am. I swear I'm still 19, but I am far from it. Oh and I don't shop at the mall...the fashions baffle me. I just got back from Amanda Jean's blog, awesome! Said hi to Cheryl, too! Play music from the decade that you like and dance! Thanks for the giveaway! I went over to Cheryl's blog and told her she must be a farmer because I thought she has great calves! I left a hello on Amanda Jean's blog. I left a hello on Cheryl's blog. Happy 29th Birthday !!! Woo hoo. Your blog is great, it brings a great big smile to both me and my 10 year old daugthers faces. She thinks your very funny too. I like using Dr Haushka or Jurlique. But the most important thing I find that helps is to SMILE (and lots), esp when not feeling your best and to help get back to sleep. Its my little trick but a wonderful gratitude inducer and humbler. Your blogs certainly makes me SMILE too. Thank you for that. Love your creativity too. Easy I don't admit to my age and just feel the age I feel on that particular day. Hi I went to Amanda's site she as some lovely things. I haven't figured out how to turn back the clock yet. I turned 66 last Monday, the 5th, and that's the first time I've seen it written down!! I used to say I was "21 and some months", which I stole from someone, but I don't remember who (because I'm 66..lol). Then, when I turned 41, I realized that I was 21 and 240 months! I have learned that every day above ground is a good day! I left a comment on Cheryl's blog. I left a comment on Amanda Jean's blog, too. Be happy! Nothing makes you seem older than a sour disposition :-( Happy Birthday and don't worry about your fortie - they really aren't bad at all. I am a little concerned, though, about my upcoming fifties :-) Thanks, too, for the great giveaway chance - what a wonderful book... and SCRAPS - I love scraps!!!! Vitamin C, vitamin D, and vitamins-12, seems to make me feel better and I'm 60 blankin' 1! I love your blog!